Today’s recipe is a really quick and simple snack idea. 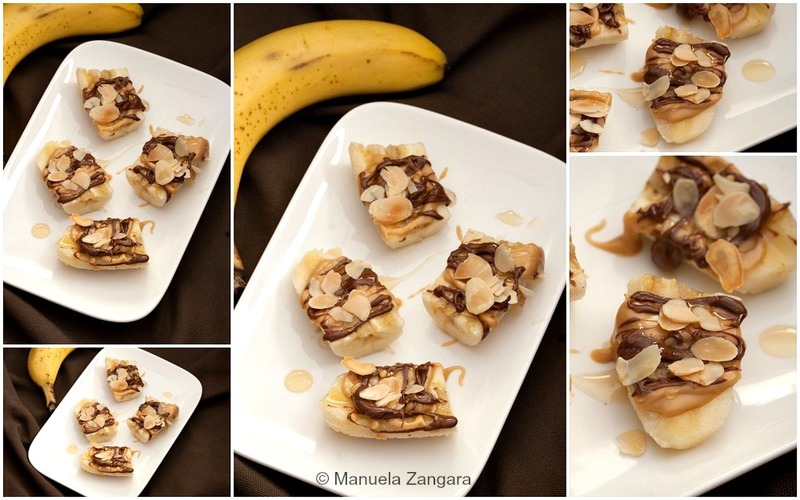 These Peanut Butter Nutella Banana Bites are perfect to satisfy any sweet cravings you or your kids may have, as it is relatively healthy. The base of the dish is fruits after all… 😉 You can dose the ingredients as per your taste, so I haven’t put the amounts next to each item. 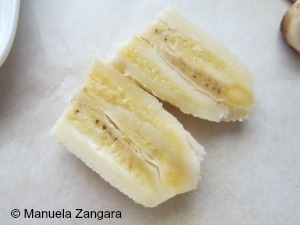 What I love about these Banana Bites is that the recipe uses ingredients that are usually in my pantry, so I don’t need to go out to the shops to buy things on purpose! This is also a snack that you can prepare with your children to get them involved in the kitchen. Enjoy! 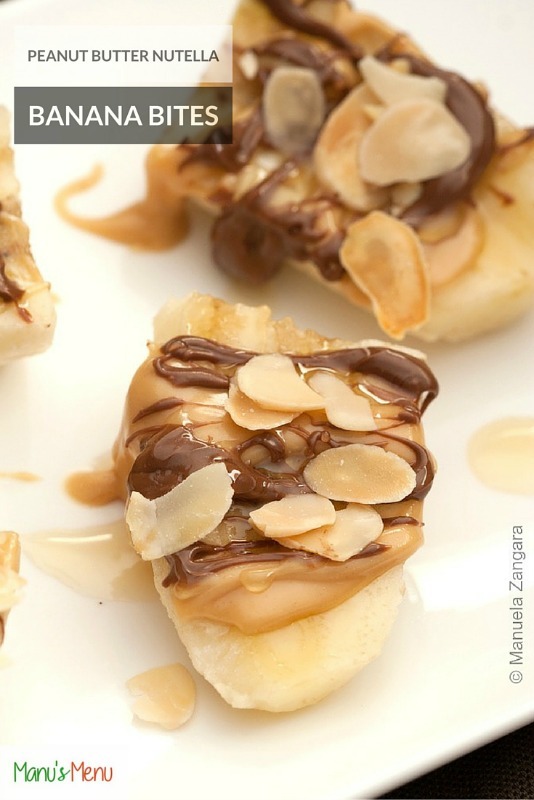 Peanut Butter Nutella Banana Bites - a quick and kid friendly snack idea! Cut the bananas lengthwise and then in 3 pieces (you will get 6 banana bites per banana). 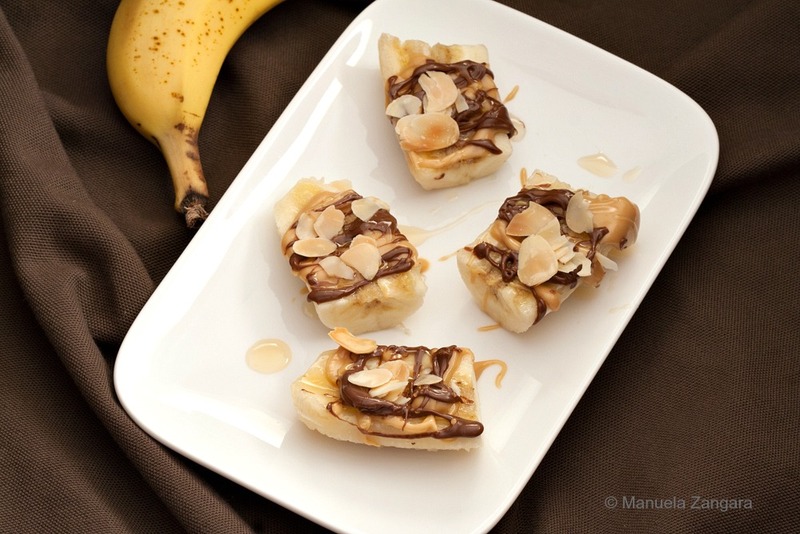 Drizzle some peanut butter, Nutella and honey on each banana bite. 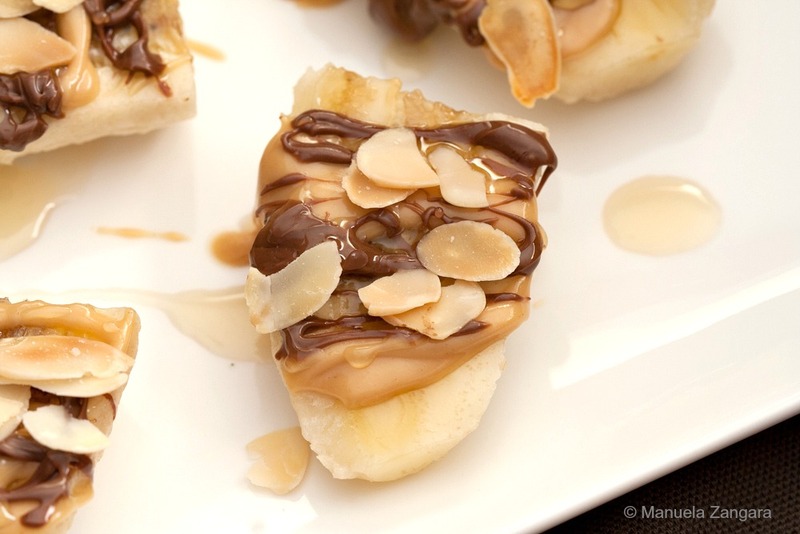 Top with toasted almond slices and serve immediately.